Create a legally binding Mississippi Bill of Sale with our attorney-drafted template! What Is a Mississippi Bill of Sale? A Mississippi bill of sale is a form that is used to document the exchange of ownership of an item. The parties involved are referred to as the buyer and the seller. Certain Mississippi bills of sale must be notarized. What Are Some Common Bills of Sale Used in Mississippi? The most commonly used bills of sale in Mississippi are a general bill of sale, a bill of sale for a motor vehicle, a bill of sale for a boat, and a bill of sale for a gun. How Do I Write a Mississippi Bill of Sale? You can write a Mississippi bill of sale in plain English. The important thing to remember about a Mississippi bill of sale is that it needs to include certain information about the buyer and seller, the item, and the price. The information that you'll need to use to describe the item will depend on the type of bill of sale. In this section, you're going to learn about the common information that should be placed in every type of Mississippi bill of sale. Then, you'll learn about how to properly describe the items in the most commonly used ones. Remember that certain ones need to be notarized. A Mississippi bill of sale must have a date. The date should reflect when the document was created. 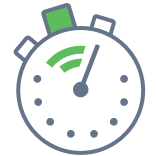 If the buyer will pay for the item on another date, that date should be included in the section that discusses payment. The last date to include is the date that both the buyer and the seller sign the document. However, keep in mind that some Mississippi bills of sale must be notarized. The Mississippi bill of sale should include the full legal name and the full physical address. It's advisable to include either the driver's license number or the state identification number of both parties. While there's no legal requirement for this information, it's helpful to have it if the bill of sale needs to be used in proof of ownership for the item. If the item involved is being given as a gift, you can mention that in the Mississippi bill of sale. You can also use the document if the ownership exchange occurs because of a trade. You'd simply describe both items. For monetary payment, you'll list the amount in words and then in numbers. For example, one-hundred and fifty dollars and zero cents ($150.00). It's advisable to use a seller's disclosure in a Mississippi bill of sale. The purpose of the disclosure is to inform the seller if there is some sort of problem with the item they're buying. This could be a physical defect such as a chip in the wood on a bookcase. It could also be an occasional problem or permanent problem such as a television whose color occasionally goes out or a car without a working transmission. Finally, both the buyer and the seller should sign and date the bill of sale. Remember that if you're using a Mississippi bill of sale that requires notarization that neither party signs or dates the document until they are in front of a notary. A Mississippi general bill of sale is used for common items that you'd like to sell. Examples include a bunk bed, living room furniture, televisions, laptops, bicycles, and jewelry. When you describe the item, you should give a physical description and you should include information such as a serial number, registration number, or make and model if you have that information. Common descriptions list the size, color, and material the item is made from. Electronics are often described by size, hard drive space, memory, and brand. If you're selling your old laptop or cell phone, you should also include whether accessories or chargers are included. A Mississippi general bill of sale does not need to be notarized. A Mississippi bill of sale for a motor vehicle should include the make, model, and year of the vehicle; the VIN; the color of the vehicle; and an odometer reading. Remember that the description listed here is in addition to everything that you learned above about the contents of a Mississippi bill of sale. When you complete a bill of sale for a motor vehicle in Mississippi, you'll also need to complete an Odometer Disclosure Statement (Form 78015). If you have a corrected odometer, you'll complete an Affidavit for Corrected Odometer (Form 78023). A Mississippi bill of sale for a motor vehicle needs to be notarized. A Mississippi bill of sale for a boat should include the make, length, and year that the boat was built; the Hull ID; the registration ID; the odometer reading; and the title number. The Mississippi bill of sale for a boat should indicate whether a trailer or an outboard motor is included in the sale. If so, certain information about the inclusion should be listed. For trailers, you should list the year and the make. For motors, you should list the year, make, and the horsepower. You'll also need to complete a safety course if you were born after 1980 and you'll need to complete a Mississippi Motor Boat Registration Application. You should have a Mississippi bill of sale for a boat notarized. A Mississippi bill of sale for a gun should contain certain information about the gun being sold. If a trade is involved, you should also include the same information about the gun that is being traded. The information you should include for the gun is the make, model, caliber, and serial number. This bill of sale does not need to be notarized. However, both the buyer and the seller should keep several copies of it when it is completed for their personal records. Is a Mississippi Bill of Sale Required to Register a Vehicle? A Mississippi bill of sale is only required to register a vehicle if you purchased the vehicle from an out of state dealer. If you purchase the car from another individual, you'll need the title. If you don't have the title, you'll need to apply for one or complete a power of attorney form depending on your circumstances. You should be prepared to pay all of your fees. You must also have a state issued photo ID. Is a Mississippi Bill of Sale Required to Register a Boat? Yes, a Mississippi bill of sale is required to register a boat. When you complete your Mississippi Motor Boat Registration Application, you'll find that the second page doubles as a bill of sale. Is a Mississippi Bill of Sale Required to Register a Gun? No, a Mississippi bill of sale is not required to register a gun. Guns are not registered in the State of Mississippi. 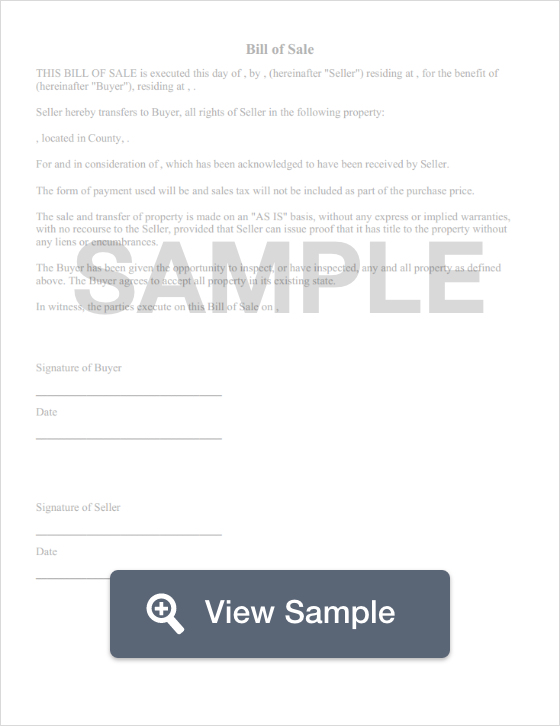 Create a free Mississippi Bill of Sale in minutes with our professional document builder.